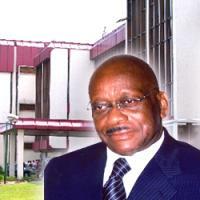 Jean-François Ntoutoume Emane born October 6, 1939 was Prime Minister of Gabon . He is a Vice-President of the ruling Gabonese Democratic Party (PDG), and since 2008 he has been Mayor of Libreville. Jean Eyeghe Ndong after Bongo was sworn in for another term in January 2006. He won a seat in the December 2006 parliamentary election, but on 31 March 2007 his victory was annulled by the Constitutional Court due to irregularities. New elections for his seat and others with invalidated results were planned, but Ntoutoume Emane decided not to participate in the re-vote, and Gisele Akoghé took his place as the PDG candidate. In the April 2008 local elections, Ntoutoume Emane headed the PDG list in the 5th arrondissement of Libreville, the capital. In the 5th arrondissement the PDG achieved its best result in Libreville, with 12 out of 16 councillors; however, the party fell short of an overall majority in the city with 42 out of 98 councillors. Ntoutoume Emane was presented by the PDG as its candidate for Mayor of Libreville, and on May 23 he was elected unopposed as Mayor for a five year term. He received 84 votes; the remaining 14 votes were invalid.